DCS is hosting an International Partner Meeting April 9th to the 11th. The event will introduce DCS partners to the latest developments and advancements in 3DCS tolerance analysis software. More so, it will give all of DCS' re'sellers a platform to share their challenges and experiences with both DCS and one another. This knowledge share will provide important feedback to DCS to drive its development roadmap, as well as help partners and re-sellers find solutions to their market challenges. Since its founding in 1988, CENIT AG has developed into one of the leading software and consulting companies. They are represented worldwide at 17 locations in six countries on three continents with around 700 employees. CENIT AG customers appreciate them as an innovative partner for the continuous optimization of business processes in the areas of Product Lifecycle Management (PLM) and Enterprise Information Management (EIM) . CENIT AG, with headquarters in Stuttgart, has been listed as a public company on the Prime Standard of Deutsche Börse. Expert in Optical and CAD/CAE software , HITEX is the official distributor for market leading discipline specific software delivering the best price and performance ratio. HITEX brings you its experience and technical expertise to make the best use of the software. Our high quality personalized support will guarantee a quick return on investment. Tes-RnD is an expert in organizational consulting, vocational in-service training and integration of the GD&T discipline. Gili Omri is the training and course instructor. Mr. Omri is a development engineer and an expert in GD&T. Mr. Omri has earned ASME (American Society of Mechanical Engineering) certification at its highest level, Senior GDTP Certificate Holder. Gili Omri is also the representative of Israel in the ISO committee that deals with the GD&T standard ( TC-213 specifications and validation). i2 (iSquare) located in Pune, India was formed in 2003 with a objective to provide practical and proven solutions to Indian Industries in the area of CAD Data “InterOperability” and “InterChangeability”. iSquare led by Mechanical Engineers having more than twenty years of experience in Engineering Industry with strong knowledge of applying Computer Aided Design, Analysis and Manufacturing tools for the product development right from conceptualization to reality. Since 2003, iSquare decided to focus on two aspects of a typical product development cycle; viz InterOperability and InterChangeability (or GD&T, Tolerance Stackup Analysis) realizing importance of these areas in terms of savings in rework and products’ Dimensional Quality prior investing in prototyping / manufacturing tooling. Since inception, we reaffirmed our edge in providing quality solutions by solving customers’ problems meeting time schedules. Our clients include major automotive companies, defense establishments, engineering technology, services centers, Tier1 & Tier2 suppliers. DesignTech Systems is a CAD/CAM/CAE, PLM and engineering services company in India. DesignTech Systems is headquartered in Pune and has offices in 7 other cities in India in addition to two offices in USA and Canada. The company offers packages in CAD/CAE and Product Life Cycle Management to the SME Segment. DesignTech aims to cross revenues of Rs 1bn by March 2014 and expects to grow that by 100% in the subsequent three years. DCS Korea provides 3DCS and GD&T technology and quality enhancement, as well as furthering the industry adoption of dimensional engineering and measurement data management. FASOTEC was founded in 1983 by machining engineers who had technology in the field of 3D CAD/CAM/CAE. Thanks to IBM and Dassault Systems, we were able to grow byCATIA systems sales and delivering support services. Today, our greatest asset is engineering service capability which contributes to better QCD performance from design to production stages. We are dedicated to the success of our client’s business utilizing our excellent performance of IT (PLM) skills and engineering insight. 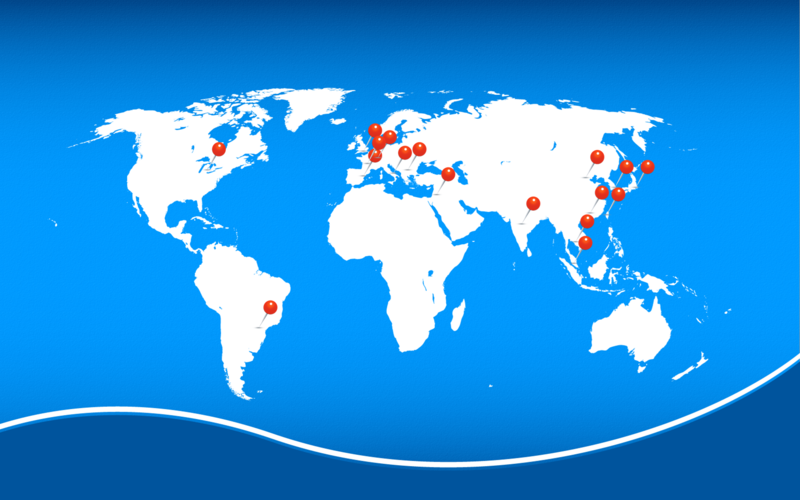 We are now aggressively expanding our service to oversea sites with our alliance partners. DFETECH distributes the most advanced engineering software for stamping, vehicle design and development. DFETECH specializes in Draw Die Development, Die Design, Stamping Simulation, Vehicle Crash Analysis. ETA entered the Chinese market in the 1980's with vigorous development of domestic automotive, aerospace, defense industry, electronics and die industries. ETA has since shifted its focus to the Asia-Pacific market, with offices established in Shanghai in 2003 and Beijing in 2007. Pan Information Technology (Shanghai) Co., Ltd. is a leading industrial design and manufacturing engineering services company provide digital quality solutions. The main program consists of four parts: project implementation, software training and support, technology transfer and custom development for users. DCS has partnered with experts from around the globe. These companies can provide training, support and software at your location and in local languages. Find the partner in your region below or contact DCS HQ to be connected to a local partner.